With Novus Homes, we are dedicated to helping you find or build the home of your dreams. Based in Balcatta, WA, we have been helping homeowners get into the home they need for 25 years. The team at Novus can help you along through each stop of the process. After setting up the initial meeting, a professional will meet you onsite and provide feedback and costs. We will conduct a site survey, helping to cement all possible work costs. The price of your home will depend on the chosen design based on 3D elevation and other aspects of compliance around the home and yard areas, at which time you receive a quote and move forward with construction in building your dream home. 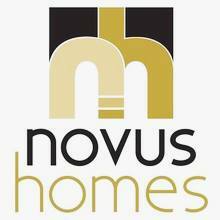 Novus Homes will be here for you at every step in the financial and building process.